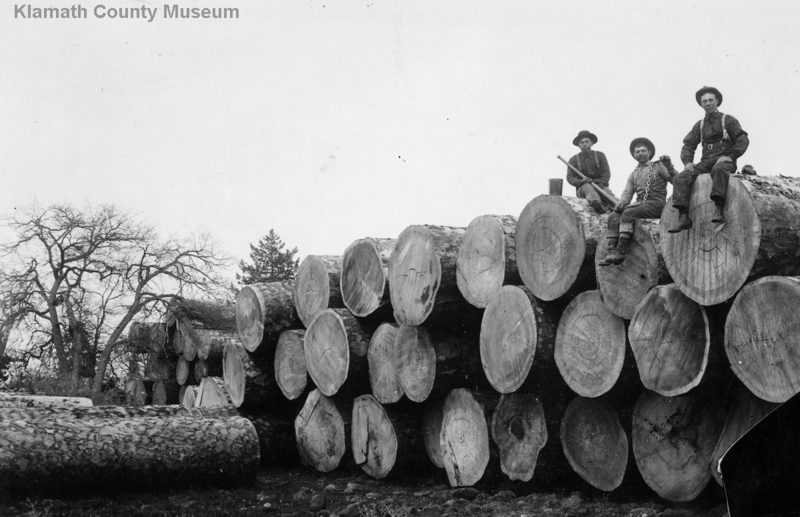 The western United States’ historic logging boom was perhaps only limited by the challenges entailed in transporting massive, half millennium year-old felled trees from where they grew to processing mills and population centers. In combination with the spread of railroads, an assorted complex of overland and over-river transport infrastructure was grafted into some of the west’s most remote territories for just this purpose. These logistical works seem as though they were as improvisational and dynamic as the turn of the century lifestyles being played out upon them. 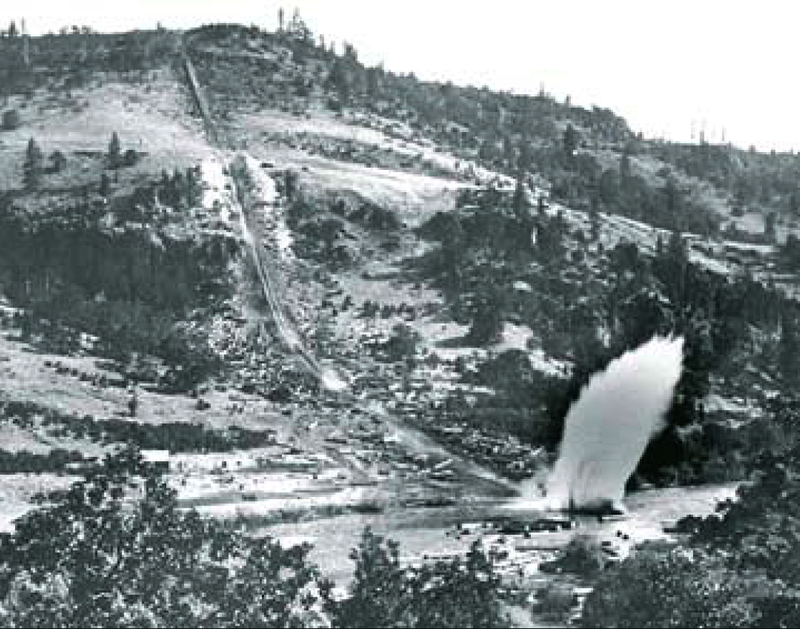 Apparently, the crew at the top of the chute would smear tallow (rendered animal fat) onto the logs as a lubricant prior to sending them through the trestled and wood-lined chute. As a heavy, former tree trunk descended through this macro particle accelerator, it quickly reached hi speeds. Frictional contact with its conscripted brethren would also heat it up. 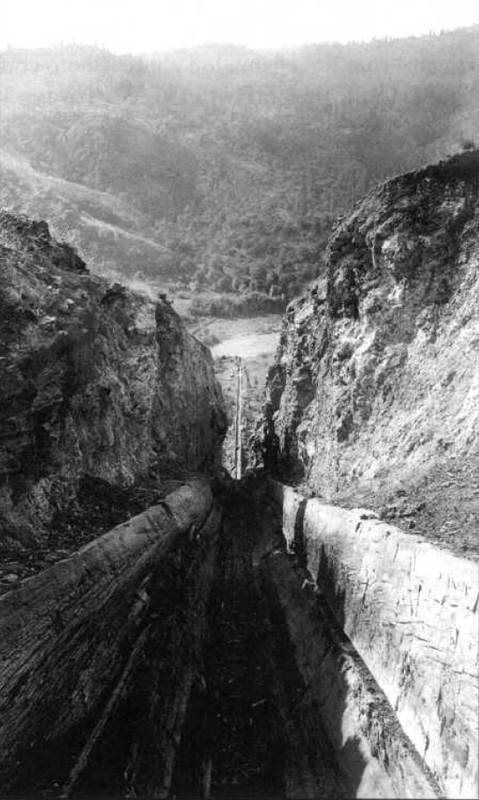 In moments of peculiar extractive alchemy, the boards of the chute would sometimes catch on fire just as the entropy laden log torpedoed into the Klamath River. From what I gather, the Pokemon Chute was in steady operation for a decade. It was superseded by a rail spur to the Pokegama Plateau. Over a century later the straight cut of the chute is still etched in the hillside (below), like a geologic anomaly, or if we didn’t know otherwise, something we might attribute to some other culture, as the landscape has since gone back to being remote and unheard of.